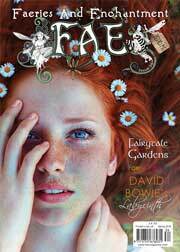 In July 2004 David Riché's long awaited 'Watercolor Fairies' was published worldwide 128 pages, and feature the detailed work of a further twenty four artists who have collaborated with Fairies World®. We are proud to have represented and worked with thirty six of the finest visionary fairy and fantasy artists of the twenty first century on our projects to date. Did you wonder why you picked up this book-what made you do it? Could it have been the title, the cover image, a recommendation from a friend, or just simple curiosity? Or might you have been guided by an unseen force that seemed to urge you to' visit another world? Deep in our psyches most of us have a sense that magic can happen and that the veil between two worlds can he Ifited, just as it sometimes is in dreams. 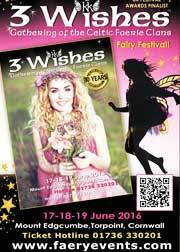 The following are links to the Web Sites of artists whose work is featured in the book: 'Watercolour Fairies'. David would like to thank them all for their unswerving dedication and support for this project.